British people are six times more likely to mistrust their neighbours because of poverty than racial differences, researchers claim. People living in deprived areas are significantly more likely to be uneasy about each other than those in more affluent areas, regardless of how they look, repudiating the argument that multicultural societies make people uneasy and less trusting of strangers. "Basically it is poverty not race that makes people uneasy and not trust each other. If it were somehow possible to make every neighbourhood in Britain completely ethnically homogenous, it would have a barely perceptible impact on the extent to which the British trust people in their neighbourhoods." Sturgis said in the last five years immigration has been blamed for a lack of community cohesion and civic engagement, but insisted people had confused poverty with diversity. He added: "In reality, immigrants do find themselves living in poorer areas so we can see how the two issues have been confused." The study also shows that less volunteering, fewer close friends, lower rates of happiness and perceived quality of life – has roots in poverty. The hate and distrust that exists in society today is a direct result of the nature of societies past and present. A society in which we must compete to survive, in which our jobs are threatened by other workers, in which we do not feel secure, is fertile breeding ground for racism and nationalism and all the other hatreds that abound. Racism – like other the so-called "hate" crimes – is usually fuelled and ignited by poverty and fear, and therefore cannot be removed until the cause is. Part of Erich Fromm’s theory is that there is a human need to be part of a community with other human beings and that capitalism is against “human nature” because it denies, and works against, this basic need. Although capitalism continually seeks to reduce us to isolated social atoms the basic human need for community still expresses itself even if in distorted and perverted forms. Capitalism encourages competition between individuals, pitting them against each other in a rat race for power, privilege and prestige. Only a society based on co-operation and community is a sane society as one which properly meets the psychological needs of human beings for a sense of belonging; not just a sense of belonging but a state of actually belonging to a real community. Engels was born on this day in 1820. Below an extract from one of his works, first published in 1880 but still relevant, is examined. "With the seizing of the means of production by society, production of commodities is done away with, and, simultaneously, the mastery of the product over the producer. Anarchy in social production is replaced by systematic, definite organisation. The struggle for individual existence disappears. Then for the first time man, in a certain sense, is finally marked off from the rest of the animal kingdom, and emerges from mere animal conditions into really human ones. The whole sphere of the conditions of life which environ man and which have hitherto ruled man, now comes under the dominion and control of man, who for the first time becomes the real, conscious lord of Nature, because he has now become master of his own social organisation. The laws of his own social action, hitherto standing face to face with man as laws of Nature foreign to, and dominating him, will then be used with full understanding, and so mastered by him. Man's own social organisation, hitherto confronting him as a necessity imposed by Nature and history, now becomes the result of his own free action. The extraneous objective forces that have hitherto governed history pass under the control of man himself. Only from that time will man himself, more and more consciously, make his own history - only from that time will the social causes set in movement by him have, in the main and in a constantly growing measure, the results intended by him. It is the ascent of man from the kingdom of necessity to the realm of freedom." The above passage is taken from Socialism: Utopian and Scientific by Frederick Engels. It has a number of important points to make about socialism which this article will examine further. Capitalist praduction is geared to creating wealth in the form of items for sale on the market with a view to profit. Wealth produced primarily for sale rather than use takes the form of commodities. A socialist society will do away with commodity production and will produce solely for use. This means that buying and selling will no longer take place and money will be obsolete. In a system based on free access to goods and services members of the community will not need to purchase from themselves the wealth which they already possess. Along with all other commodities, human labour power will be abolished as an item of sale: the abolition of the wages system will give way to a society of cooperative labour where each will give according to ability and take according to need. The capitalist system cannot be planned. The market gives rise to anarchy because its economic laws are based on speculation rather than the efficient measurement social needs. Periodic crises are endemic the profit system. In a socialist society where the means of wealth production distribution are owned and controlled society as a whole, it will be possible to use the technology of mass communication to allow decisions to be made by the community about the best ways of satisfying human requirements. Of course, democracy will not always lead to the answers and socialist society might occasionally suffer as a result of wrong decisions but, unlike capitalism, at least production and distribution will be regulated. In the capitalist jungle people are forced to compete in order to survive. Worker is set against worker in the struggle for jobs promotion and decent housing. Socialism is based on the recognition that the individual is not able to survive without society, and therefore the individual aims which capitalism conditions into us must be replaced by the understanding that only co-operation with our fellow human beings can we exist in comfort. Unity is strength; in socialist society individuality will not be replaced by Maoist grey uniforms, it will be understood that humans can express themseives fully as social beings. Unlike our older animal relations, human beings have the unique capacity to control the environment. Animals are, to a great extent the inevitable victims of nature. Human beings have the unique ability to understand and change our conditions - to beome "the conscious lord of Nature". Hundreds of years ago, when our forebears had yet to dominate their surroundings, they invented the myth of god which was posed to be the prime mover of all things, natural, and social. These days there is the myth of "human nature", often by anti-socialists to argue that social behaviour is fixed within the mould of capitalist social relations. Consciousness is the tool which makes it possible for humanity to master its social environment. In the past most people have been pawns in the game of ruling class history. Socialism presents the possibility of making our own history in line with conscious plans. Planning does not mean that socialist society will determine its affairs in accordance with some master plan or blueprint. To plan on the basis of conscious thought is quite different from the undemocratic, centralised planning of capitalism. 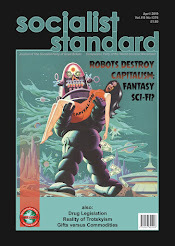 Of course, there is one other crucial difference between capitalist and socialist planning (or history making): the capitalist planners are nearly always incapable of predicting what is going to happen to their system in the near or distant future; only in a society of conscious human control can it be meaningful to make decisions about the future. Capitalism sets up its own needs: it cannot avoid wars, unemployment, and mass starvation. Well-intentioned reformers want to see these symptoms of the capitalist disease - or, needs resulting from the power of capital - eliminated without ending capitalism. As the history of reformism has shown, this simply cannot be done. Only when we have removed the cause of these problems will they no longer be necessary. In "the realm of freedorn" needs will be determined by the men and women (Engels refers to "man" but means both) who inhabit society. 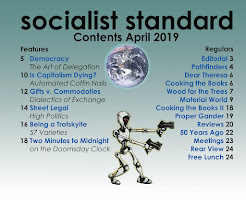 lf you read the Object of the Socialist Party, which is printed in every issue of the Socialist Standard so that nobody need be in any doubt about what we stand for, you wilI see that it is consistent with EngeIs' vision. Clearly, socialism does not exist in countries like Russia, China, Cuba and Albania, where commodity production still exists, and where the features of socialism outllined by Engels are far from present. Socialism has never been tried, just as capitalism at one time was a system in the historical future. When a majority of workers want and understand socialism it will be established. On Saturday an estimated 100,000 Irish protested aganst the government and the cuts. It won't be the rich who will suffer. The Irish property bubble might have burst, there are still plenty of Irish millionaires who derive their fortunes from bricks and mortar. Indeed, no less than 31 Irish business figures feature on the 2010 Estates Gazette Rich List, which details the fortunes of the UK's super-rich property moguls. Leading the roll call of Irish multimillionaires this year is John Magnier, with an estimated personal worth of €637m. THE MAJOR PROBLEM THAT most people face today can be summed up in one word - poverty. They are denied access to the wealth of society which would enable them to develop and enjoy themselves to the full. They have to make ends meet and make the best of it. The result is a life-style of frustration and boredom - getting up in the morning, the buses, the trains, the traffic, the shop, the office, the factory, the boss, the canteen and so on ad nauseam. Not everybody has the life of a battery human. There are a small minority who have a life of wealth, ease and luxury. In a recent divorce case, the counsel for a textile magnate's wife who was claiming maintenance, explained to an incredulous judge: "The wife of a millionaire is liable to go to Paris at any time and spend £1,000 on a dress." (Glasgow Daily Record, 19th March 1975) Doubtless, she would leave dinner in the oven and do the washing-up when she got back. There is no natural reason for this division between rich and poor. Both classes include every biological and psychological facet of humanity - you find the black and the white, the jew and the gentile, the lazy and the industrious, the aggressive and the timid, the intelligent and the dull, and the philanthropist and the skinflint. The only difference between them is one of ownership. The vast majority of people own practically nothing but their ability to work and the little that they do own - some clothes, some furniture, perhaps a house and a car - is dependent on their continuing to possess and exercise that ability to work. Unable to do so through sickness, old age or unemployment, they will quickly be reduced to the level of pauperism. They are the working class because they have to sell their working power to live and to such an extent that they are virtually living to work. This lack of ownership among the many is paralleled by the immense wealth of the few. In fact, they own practically all the means by which the wealth of society is enabled to be produced and distributed. They are the capitalist class because they live on the income from their capital which, as well as the means of production and distribution, includes the labour-power, the mental and physical energies, of those workers hired to operate them. The capitalist class do not give workers jobs out of charity. If they did not make a profit out of the deal, they would soon be left in the same position as the workers. They only employ you if your abilities can be exploited to provide some of the wealth which secures their life of ease and luxury. If not, your much vaunted "right to provide for home and family" becomes your right to whistle for it. This is what is happening in many industries just now. All over the world, there are large stockpiles of unsold goods with many either wholly or partly unemployed. These situations give the lie to the false notion that Hard Work will solve all the worker's problerns. If the people in these industries worked any harder they would just be out of a job so much the sooner. The market that they produce for is on the downturn, their masters cannot profitably sell all they are capable of producing, and so there is no work for the wageslaves. This is all happening despite the fact that the commodities they produce - cars, houses, electrical appliances, etc. - are still needed by many workers. This is because, in capitalist society production does not take place for the purpose of satisfying the community's needs but for the purpose of satisfying the needs of the capitalist class at the expense of the rest of us. The working class produce all the wealth of capitalist society but they only get back a part of it. The rest goes to the capitalist class - first, to provide for the continuation of production and the maintenance of the conditions by which the working class are exploited, and second, to keep them in the manner they are accustomed to. This is the basis of the class struggle in capitalism. It is the real Socialist struggle which has hardly started due to the lack of class consciousness on the part of the working class. They are divided against each other and can only dimly react to the actions of their class enemies. Politically, the capitalist class are supreme but, economically, they need the working class. Much is made of the wealth of the capitalists "providing" jobs for the workers. The only way that they can put their wealth to effect is by hiring the labour-power of those with no wealth. In terms of playing a social role in production, the capitalist class are redundant. At the dawn of their epoch, they were instrumental in razing to the ground the anachronistic restrictions of feudalism and developing the means of production and distribution on an enormous scale in their drive for bigger and better profits. Today, they only take part on a small, individual basis and have been replaced by paid managers and various other hired hands. The only role left to them is that of consuming the finest fruits of a society run by the working class. The workers in capitalism are in a similar position to that of the bourgeoisie in feudalism. Economically, they are the most important class but their efforts on their own behalf can only reach fruition by taking political power from the class who seek to maintain an order built to work in their own particular interests. To achieve their ends, the bourgeoisie had to become revolutionary and set out for the complete overthrow of the whole structure of feudal society. In order to do this they had to gain political power - control of the bureaucratic, military and legal apparatus of the state. The working class, to achieve their ends, will have to follow the path of the bourgeoisie and declare for revolution. But there the similarity ends. As the hour approached I had tried to lower my expectations of turnout to a few hundred. I was shocked when I encountered the demo already on the march and couple of thousand strong. They were marching towards me so I got absorbed into it. I looked back over the crowd to the rear and I couldn't see the back of it. One of my first thoughts was the police seemed hopelessly outnumbered. The most profound moment happened early on, and a short distance from the university starting point. We walked past a primary school and all the children (aged about 8 or 9) pressed up against the fence to watch the spectacle. I heard someone shout "its your future we're fighting for", slightly in jest, but it moved me and I hope it made a big impression on them. I spotted a lot of red and black flags (and hardly any Socialist Worker placards), anarchism is growing in Liverpool, but what suprised me was the girl in a group of high school students waving a red and black flag. I would later learn Merseyside Police had warned high school students to stay away. I'd estimate about a hundred turned up but it should/could have been a few thousand. Before I could begin thinking about asking the students about anarchism, someone from the Liverpool Daily Post approached me. "We're doing some live feed for Twitter and want to ask you why you're on the protest". >"Because I'm representing the Socialist Party of Great Britain and education should be free" I replied. He asked for my name but added a fake one was okay "Edgar Hardcastle" I said. We entered the outskirts of the city centre and the public were equally surprised at the turnout, the only ones who reacted were positive and supporting by applauding. I got concerned about the route avoiding the main centre, the protest against the Lib Dem conference had been police-directed and this one looked police-directed at first too. Fortunately outside the main train station everyone sat down (stopping traffic) and heard speeches from the Liverpool University against the cuts committee leaders (one from Workers' Liberty and one from SWP). It was here I actually bumped into a Spartacist (on the reverse of his sign) and asked him why he was a Sparticist and he just said he reads their paper. I wondered if the party "leaders" would try to hijack the protest and get political but they didn't mention politics really. By the same token, had I been recruiting or propagandising at this stage, it would have seemed like hijacking. While the protest had a dynamic active movement I was going to go with it. We were led away from the shopping centre (mustn't interrupt capitalism or the local news put it bluntly "disrupting trading"). Outside the town hall we gathered to hear a Labour councillor who said, to much (possibly anarchist) booing that Liverpool council supports the protest but now please disperse. No-one dispersed and some idiot let a red smoke flare off (although no-one seemed to be hurt). The protest finally broke with police orders and marched on the shopping centre. The police (and mounted police) formed a line, and the protest thought for a moment then went another route to Liverpool's newest and biggest shopping experience the Duke of Westminster's Liverpool One. They hung around again and a "leader" (possibly a girl from Socialist Worker) made more incomprehensible comments through a megaphone but even the leaders were beginning to lose control. The crowd chanted "Bold Street, Bold Street", the speech was cut short and we moved on, now practically completely leaderless (or that's how it seemed). We successfully marched through the shopping centre and ended up outside what was rumoured to be a Tory party club. It was here the police restored some sort of order, they brought vans and formed lines again which would suggest the rumour was true. Clearly the protest had taken a London-inspired turn. A police helicopter swooped over, I spotted one Police Forward Intelligence Team. Some eggs and oranges were thrown at the police line (some scallies in front of me seemed to enjoy this). The worst the protest got was a feeble attempt at kicking the Tory club door. After some time, the mob meandered back towards university, splitting and regrouping (and probably diminishing) in the process. It was during this downturn that I spoke to three groups. One was a male and female couple who were sixth form students with a home-made sign. The girl said she was Labour all the way but seemed interested in socialism and both took leaflets. The next was a couple of girls with homemade signs who I failed to engage at all. One answered me that she was in the Green Party but largely averted her gaze, it was a losing battle so I drifted away. I spoke to a group of three, two lads held a Bob Marley flag and a girl (with them) had a sign with a Bill Hicks quote about spending the weapons-budget on welfare. I liked her motivation and spoke to her, I gave them all leaflets. She seemed really keen and asked for my contact. I told her to contact Head Office. The protest was winding-down and presumably so was the numbers when a handful half-heartedly scaled the Liverpool Union roof until two police officers wandered upstairs. There were more speeches by the two party "leaders". When I spotted someone giving out Liverpool Uni against the cuts leaflets, I copied and quickly gave out almost all of my leaflets. By then anyone still around was committed and just hanging around, so it seemed the right moment, rather than on the march. I found one leaflet on the floor which I picked up and put in the bin. I spoke and gave leaflets to a few remaining groups of friends who weren't obviously party-aligned. There were many witty homemade signs including "This wouldn't happen at Hogwarts!". One lad I saw intrigued me, he had "Me for Prime Minister" and a Hammer and Sickle. I wanted to speak to him throughout the protest. After everyone had left the protest, I found him at a cash machine with his friend . He said he was only 16 and not in any communist party. He was extremely enthusiastic about the protest and "communism" and hugged me. He asked what I stood for, and after pausing, I said "a stateless, moneyless, workless society of free access" to his delight. I gave him and his friend leaflets and humoured his friendly good-natured well-intentioned "Vladmir Lenin, Vladmir Lenin" chants on parting, by his sheer energy, warmth and enthusiasm. I gave some more to a group of about 5 girls (one with a sign about Clegg done in the style of the Carlsberg logo) then went home. SOYMB notes that the International Monetary Fund has published a study asserting that growing income inequality in the U.S. triggered the two most severe financial crises and economic downturns of the last 100 years by creating unsustainable imbalances. Under free-market mechanisms, production is balanced when the unfettered distribution of profits to businesses efficiently allocates resources to the appropriate players. Using the same thought framework, private consumption and investment is similarly balanced when income is distributed proportionally between the broad society and the wealthy. However, when wealth disproportionately goes to the ultra-rich, balanced is distorted. The ultra-rich, or the investor class, don't spend all of their wealth, or even the majority of it. Instead, they need to find channels to invest it. As their wealth grows, they demand more financial products to accommodate that need. Wall Street happily complies with this demand and finds more and more ways of offering loans to the broad society. In the past crisis, its primary innovation is slicing and dicing residential mortgages into packages of investment products. In the process of performing this work, the financial sector itself gets bigger and richer. Meanwhile, as the "middle- and lower-class" borrow from the rich, they are able to temporarily keep their consumption on pace with economic growth. However, without a corresponding increase in real income, they cannot pay down their debt, which piles and grows to unsustainable levels. Finally, the bubble pops, the financial sector has a crisis, and the real economy contracts. Kemal Dervis, a director at the Brookings Institution, presents a similar thesis. In a Financial Times op-ed, he said widening income inequality stunts natural consumer demand, so policy makers are forced to enacted distortive policies to prop it up. In the U.S., policy makers allowed "extremely low interest rates, irresponsible subprime mortgage practices and staggering credit card debt." Dervis said in the late 1970s, the top 1 percent richest Americans had 8 percent of total income. Now, they have 24 percent of all income. Unions call on government to halt poverty wages at sea and close a legal loophole which allows shipping companies to discriminate against overseas workers employed on UK ships by paying them as little as £2 an hour. The unions are concerned that an exemption under what was then the Race Relations Act (and which has now been replaced by the Equality Act 2010) fails to protect foreign seafarers from discrimination, despite EU law which prevents unfavourable treatment on the grounds of nationality. Several years ago the RMT complained to the EU about the then UK government's failure to apply the Race Relations Act to ratings employed on British ships. The unions and the TUC are now seeking an urgent meeting with Shipping Minister Mike Penning to persuade him to implement regulations outlawing pay discrimination on ships with a British flag. The unions say that many of the seafarers in receipt of poverty wages are from the Philippines or India, and work either on domestic ferry routes or on ships sailing to and from the gas and oil fields in the North Sea. The number of very poor countries has doubled in the last 30 to 40 years, while the number of people living in extreme poverty has also grown two-fold, Trade and Development (UNCTAD) said. "What happened is that in the past 30-40 years, the number of least developed countries (LDCs) have doubled so it has actually deteriorated, the number of people living under the poverty line has doubled from the 1980s." The number of individuals living in extreme poverty "increased by three million per year during the boom years of 2002 and 2007," reaching 421 million people in 2007. The report indicated that the situation has sharply deteriorated in the past few years. It emphasized that over the past 30 years the existing model of development failed to help rid people out of poverty and cautioned that the situation has sharply worsened in the last few years. It cited dependence of poor countries on imports, very weak improvements in domestic savings and a faster depletion of their natural resources as major factors contributing to the epidemic. The expenditure for LDC's on food imports rose from 9 billion dollars in 2002 to 23 billion in 2008," said Secretary General of UNCTAD Supachai Panitchpakdi. With Ireland's government's recent announcement of its programme of spending cuts we should note that almost a quarter of all Irish households were in arrears on at least one bill or loan last year and 60 per cent said they had difficulty making ends meet. Gross and disposable household incomes fell in 2009 ( down 6.7 per cent and 6.3 per cent respectively). The survey shows the deprivation rate rose to 17.3 per cent last year, up from 13.8 per cent in 2008. The two items people reported being most deprived of were the replacement of worn-out furniture and being able to afford to go out in the preceding fortnight. Households are increasingly dependent on State payments. Some 27 per cent of household income came from social transfers, such as unemployment benefit, disability benefit or children’s allowance, up from 22 per cent in 2008. State payments loom larger in importance in poorer families. They account for 91 per cent of income in the lowest-earning 10 per cent of the population. However, even in the highest earning 10 per cent, they account for almost 10 per cent of income. 24 per cent of households were in arrears with mortgage payments, utility bills or other loans or bills; this compares to just 10 per cent in 2008. Among those at risk at poverty, the proportion of people in arrears rises to one-third, up from 20 per cent in 2008. One in 10 households was behind on gas or electricity bills, and one in 20 was in arrears on the rent or mortgage. Only half of those surveyed said they would be able to meet an unexpected expense of about €1,000 without borrowing. Wills and Kate have been filling up countless column inches and TV spots since the announcement of their engagement. One bit of Royal Affairs news may have been missed outside of Scandinavia. King Gustaf of Sweden, allegedly, had an affair with La Camilla from the 90s camp disco/dance group "Army of Lovers". La Camilla, Camilla Henemark, came out the other day and said it was her, following allegations about the infidelity of the King. It is rather ironic that the lady in question shares the same name as William's step-mother. Royals are no better or worse than anybody else. So why the fanfare? In fact, if they are just like us, why do they live in riches and palaces? The UK’s new immigration cap will not prevent all migrants from entering the country. In fact, there is one certain kind of immigrant that will not be turned away, and that is the rich kind. Kamal Rahman, a lawyer working with the Home Office, said people investing more than £5m in the UK would be promised residency within two or three years and full citizenship within five. Ms Rahman also said such investors would need to live in the UK for only six months a year, down from nine at present. “I guess the simple truth is these things have a lot to do with what ideas get accepted out there. What ideas get promoted and encouraged,” says Linda McQuaig, the author of seven books on Canadian politics and op-ed columnist for the Toronto Star. “One of the problems has been that very wealthy interests have enormous sway and enormous influence over the shaping of public debate through their creation of think tanks and lobby groups, and of course their ownership of the media." This is ,of course, one of the basic tenets of Marxism that the ideas of the ruling class are always the ruling ideas. "The ideas of the ruling class are, in every age, the ruling ideas; i.e., the class which is the dominant material force in society is at the same time its dominant intellectual force" - Karl Marx. Capitalist ideas dominate the political economic and social scene for the capitalist own and control the means of propagation, education, information and news. Thus, all discussion and debate is undertaken on their terms. It should be clear, then, that bourgeois ideology serves capitalist interests not only when it provides pro-capitalist solutions to pressing social problems but also when it confuses people, or makes them overly pessimistic and resigned, or makes it difficult for them to formulate criticisms or imagine alternative systems. Millions more Americans are on food stamps this Thanksgiving. A staggering 42.4 million Americans – 13.7% of the population -- are receiving benefits from the Supplemental Nutrition Assistance (SNAP) program, more commonly known as Food Stamps. To put this into perspective, 6 million more people are lining up for food stamps this year. Since the recession began, 15 million more Americans qualify for the benefit, earning a poverty-level income. The increase in food stamps reflects a higher poverty rate and increased unemployment. Further to our previous post, 53,000 children living below the poverty line in Alberta -- and possibly more, given downturns in the economy in the past two years. The Alberta report says more than half of the children who live in poverty are from a household in which at least one person works full time year-round. "There is a crisis for many families, but that crisis is hidden," said Bill Moore-Kilgannon, executive director of Public Interest Alberta. He helped research and write the report with the Edmonton Social Planning Council. In Nova Scotia, the Canadian Centre for Policy Alternatives says 14,000 children in the province were living in poverty in 2008. The organization also says there is a growing class of working poor in Nova Scotia. But it isn't just the young who suffer poverty. The number of seniors living below the low-income cutoff, Statistics Canada’s basic measure of poverty, jumped nearly 25 per cent between 2007 and 2008, to 250,000 from 204,000, according to figures released on Wednesday. The rise in poverty among seniors poses particular problems for their adult children, who will be expected to bridge financial gaps for their parents while supporting their own families. This so-called “sandwich generation” is often caught with the twin pressures of having children in higher education and parents requiring additional care for failing health, according to Laurel Rothman, co-ordinator of the Campaign 2000 report card on child and family poverty. One in 10 Canadian children is living in poverty, according to a report on the status of child and family poverty. With Parliament's self-imposed deadline long past, it still has far to go on the promise it made 21 years ago to eradicate child poverty by 2000. One in seven children or about 121,000 kids in British Columbia were found to be living in poverty in 2008. The poverty rate among B.C. children below the age of six during that year was 19.6 percent. This means that one in five in this age category didn’t have enough to lead decent lives. Inequity is also growing. The gap between the incomes of the richest 10% and poorest 10% of families with children grew from a ratio of 11 to 1 in 2007 to 14 to 1 in 2008. Families in the three lowest income groups (deciles) saw an actual decline in their incomes between 1989 and 2008. Some people are being forced to put their homes at risk because of debts of as little as £600, the Office of Fair Trading has found. The regulator is clamping down on lenders who tell customers to pledge their homes against non-mortgage debts. The process of securing these debts is known as a charging order.Financial companies have the right to apply to a court for a charging order when borrowers have failed to keep up payments on credit card debt, loans or hire purchase commitments. This order turns these unsecured debts into debts secured on the borrower's property. Over the last five years, the number of charging orders applied for has risen from 45,000 to 164,000. "Our investigation uncovered instances of charging orders being used to secure debts of less than £600...Where we consider the using of charging orders to be unfair or oppressive we will take action to protect consumers." said Ray Watson, the OFT's director of consumer credit. Four providers have been ordered to "address concerns" about the way some consumer debts are enforced. The four are: Alliance and Leicester Personal Finance, HFC Bank - part of the HSBC group, American Express Services Europe, and Welcome Financial Services - part of Cattles. More than 7% of adults will go into the red to pay for Christmas, with credit cards the most popular way of borrowing, a survey has found. Four out of every 10 people will already have debts, on top of mortgages and student loans, when they start their Christmas shopping. Some 69% will put the cost of presents and festivities on credit cards, 23% will use overdrafts, and 8% will take out a loan. "We know times are tough," said Moneysupermarket's head of loans, Tim Moss. "Our research shows that almost 20 million consumers will be heading into the most financially stressful period of the year already in debt." The Commission for Rural Communities said someone in a remote village needed £18,600 a year to get by, compared with £14,400 for an urban dweller.It means a villager must earn about 50% above the minimum wage of £5.93 an hour to reach a minimum living standard.The report found that, with low pay more common in rural areas, many rural workers fall well short of being able to afford their essential needs. The report's author, Dr Noel Smith, said "Workers in the most basic rural jobs can work very hard yet still fall well short of what they need for an acceptable standard of living." It is now widely recognised that one in five rural households experience poverty. Nicola Lloyd, executive director at the CRC, said "The rural minimum income standard clearly shows that many ordinary families living in rural areas will struggle to afford the everyday essentials; for some this will make rural life unsustainable." Just when you thought the Monty Python skit was merely just that comes news of the saga lout. The question is how much of this OAP crime is driven by the hard deal pensioners face these days? For years, we have heard that obesity, a lack of physical activity and a family history are the top risk factors for developing Type 2 diabetes. But new Canadian research says that, in fact, it is living in poverty that can double or even triple the likelihood of developing the disease. "What we know about Type 2 diabetes is not only are low-income and poor people more likely to get it, but they're also the ones that, once they get it, are much more likely to suffer complications," Prof. Dennis Raphael, one of the researchers, explained. "And the complications from Type 2 diabetes when they're bad are really bad, whether it's amputations, or blindness, or cardiovascular disease." Data showed that for men, being in the lowest-income category (earning less than $15,000 per year), doubles the risk of developing Type 2 diabetes compared to being in one of the highest-income brackets (earning more than $80,000 per year). The risk remains the same when other risk factors are taken into account, such as education, body mass index and physical activity levels. The findings are even more striking for women in the lowest-income category. For them, the risk of developing type 2 diabetes is more than triple the risk of women in the highest-income category. The studies point to living conditions that put low-income adults and children at risk for myriad diseases, not just diabetes. First of all, there is the chronic stress of low-income living that can adversely affect health. The strain of being short on money and living in inadequate housing, or not having any housing at all, can spike levels of cortisol, a hormone released when the body is under stress. While cortisol helps the body deal with stress, constantly elevated levels can cause a wide range of negative side effects, such as high blood sugar levels or high blood pressure. "When you're in a situation where 15 per cent of kids and their families are living in poverty, and people are worried from day-to-day about their jobs and homelessness, and immigrants are not being provided with what they need to be healthy, and the evidence that suggests these are all things that contribute to the onset of Type 2 diabetes, there has to be more of a balance in how we understand the causes of illness," Raphael said. SOYMB reads that Credit Suisse, a Swiss bank, in October, its research institute issued a report on the world’s disposable cash. This put a figure on “global wealth”at $200 trillion. It also put a figure on “global government debt”- $45 trillion. The report said there are 4.4 billion adults on the planet and about 10 million are what the bank calls ultra “high net worth individuals” (HNWIs). Between them, they can lay hands on at least $39 million millions . That is $39 trillion known to be in private hands. Some three million Americans have 31% of the £39 trillion. The UK also have around three million HNWIs. Their collective wealth is calculated at $9.5 trillion, a 14.2% increase in 2009. Netcare in KwaZulu-Natal performed illegal kidney transplants in its St Augustine's Hospital in Durban from 2001 to 2003. By illegal, we are talking about performing unnecessary surgery on "patients" for the sole purpose of selling their organs to others. A doctor who cuts up a human body for the purpose of selling the organs is no different to a butcher who cuts up animals for retail. The hospital removed kidneys from more than 100 people during that period and paid them a measly 42000 Rand each, while it is said to have made R42-million from the operations. The Commercial Crimes Court fined it R3.8-million. There are those who will say, "So what?" And in a world where money can buy anything, and everything is fair game for profit-makers, what's to stop people from turning human parts into another commodity? In a world that is governed by the principle of supply and demand, where those with money can buy anything, the inevitable result is a world in which rich recipients look for markets where they can buy body parts. The sad reality is that some poor person somewhere in the world will be forced to sell. Today's rich prey on the poor. It is not surprising that the majority of the "donors" in the Netcare case were Brazilians. India is another country where the organ trade is rampant. Human organ trade has become a billion-dollar business around the world. Monsoon, the fashion chain that pioneered ethical shopping, has used suppliers in India who employ child labour and pay workers below the minimum wage, the Observer has discovered in embarrassing revelations thrown up by the company's own investigations. The company is owned by Peter Simon, who is reported to be worth £250m. Simon opened his first Monsoon store in London in 1973 and the first Accessorize followed in 1984. The company now has about 1,000 stores in 54 countries, including 400 in the UK. It acknowledged that children have been discovered working in its supply chain; women working from home may have been paid less than the legal minimum wage; some workers are regularly required to work excessive overtime; and conditions in suppliers' factories sometimes break both local laws and the industry's own ethical code. A company insider accused Monsoon of caring more about profits than workers' wellbeing. He said the firm's management had made matters worse by demanding suppliers cut their prices to help the company through a rocky financial patch two years ago. "All the management wanted was to cut down the prices. It is highly unfair to ask the suppliers to pay better wages if Monsoon Accessorize is itself not wanting to pay fair prices for a product," he said. Samantha Maher, policy coordinator at Labour Behind the Label, writes "The fact is that most "ethical" work done by retailers such as Monsoon amounts to little more than window-dressing, hiding the exploitation that the entire fashion industry is based on. Fashion retailers scour the globe looking for suppliers who will agree to the lowest price possible, accept unreasonable terms of trade and take on all the risks and difficulties of producing clothing for the constantly changing taste of the British consumer. This cost and risk-cutting is inevitably passed down to the people at the bottom: the women and children in large factories, small sweatshops and their own homes. They remain completely invisible." From the online magazine Digital Journal. Some believe that the recent financial meltdown was caused by free markets and capitalism, which has drawn many people to look at the alternative: Socialism. The Socialist Party of Canada wants to define what socialism really means. At several demonstrations in Toronto, this journalist has come across a lot of members of the Socialist and Communist Parties of Canada. The representatives hand out information on certain events occurring and their stance on the issue. It was time to finally speak with the party and understand their points of view. On Thursday, Digital Journal had the opportunity to speak with Socialist Party of Canada representative and content contributor to the publication journal Imagine, John Ayers, to discuss the idea of socialism, what the party’s views are in terms of foreign policy and the current political establishment and system. However, Ayers feels that socialism and communism have been misunderstood due to the media and various governments around the world that call themselves socialists but do not represent the idea or have the vaguest notion of what it actually is. The first Socialist Party of Canada began in 1904 and ended in 1925. The second SPC began in 1931 and continues to this day and is part of the World Socialist Movement. Even though the party does not have the proper funds to operate on a level as the main political parties, Ayers says that the party is mainly operating on an educational basis by publishing brochures, pamphlets and other methods to get out the proper information. If elected, the SPC would use parliament and legislative powers to end the private property and state systems. In place of it, voluntary labour would be implemented and power would be given to local and production councils, which would be democratically elected and ultimately be the foundation of socialism. The current state and can the government change? According to Ayers, ultimately nothing is going to change. The SPC representative cites Toronto mayor-elect Rob Ford as an example because he is someone who is not going to change the system but ran on a campaign promise of ending the gravy train and changing the corrupt city hall. 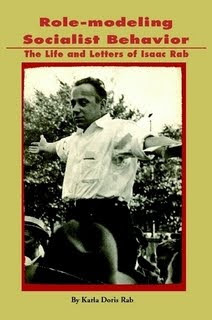 Isaac Rab (1893 – 1986) was a well-known agitator for Socialism in the Boston area, as a soap-box orator, a lecturer and a teacher, for most of the Twentieth Century. He was among the founding members of the World Socialist Party and organized a Boston Local in 1932, in which he was a central figure for many years. Today the WSP(US) remains a companion party of the World Socialist Movement. After driving his Volkswagen Magotan into two rollerblading students, killing one, outside Hebei University in the Beishi district, a drunk Li Qiming did not stop until he was intercepted by security guards and students on campus. Li stepped out of the car and without any sign of remorse said "Who's your daddy?" His father, Li Gang, is the deputy chief of the Public Security Bureau in Baoding City, which is in Hebei province, northern China, and this position would usually guarantee freedom from broader consequences. Wu Zhongmin, a professor at the Party School of the Central Committee of the Chinese Communist Party of China, told the Xinhua News Agency: "Like father, like son. If the children of officials think that they are the privileged class, will future generations follow suit?" The answer is yes and it's been the answer since the "Communist" Party took power. A food crisis could overtake the world in 2011, according to the Food and Agriculture Organisation. The FAO warns the world to "be prepared" for more price hikes and volatility. Price hikes of 41 per cent in wheat, 47 per cent in maize and a third in sugar are foreseen by the FAO. "Against this backdrop, consumers may have little choice but to pay higher prices for their food..." the FAO says . The Fao's chief grains economist Abdolreza Abbassian, said: "There is no doubt speculative activities have brought into the market a great deal of volatility." CBS News reports that although the basic pay for members of Congress is $174,000, nearly half -- 261, to be exact -- are millionaires (there are 535 total members of the House and Senate). Just 1 percent of Americans overall can say the same. 55 members had an average calculated wealth of $10 million or more in 2009. While the economy has generally faltered over the past two years, congressional members actually saw their collective personal wealth increase by more than 16 percent between 2008 and 2009. The wealthiest member of Congress is Rep. Darrell Issa (R-Calif.), whose holdings exceed $303.5 million. Rep Jane Harman (D-Calif.) is close behind with $293.4 million, and Sen. John Kerry (D-Mass.) rounds out the top three at $238.8 million. In the House, five Democrats and five Republicans make up the 10 wealthiest members, while in the Senate, six Democrats and four Republicans make up the top 10. The median wealth of a House member in 2009 stood at $765,010, while the median wealth for a senator in 2009 was nearly $2.38 million. The most popular company among members of Congress, CRP found, was General Electric, in which 82 current members invested. The second most popular company was Bank of America, which 63 members invested in. Quarter of Spanish children at risk of poverty according to Unicef and the children of the offspring of immigrants as 'especially vulnerable'. The report thus places Spain among the countries with the highest juvenile poverty rate among the 27 countries of the EU, with only Romania, Bulgaria, Latvia and Italy in worse condition. "Being a poor child in Spain doesn't mean going hungry, but malnutrition is a definite possibility; it doesn't mean having no access to education, but it does mean having trouble paying the expenses and dropping out of school at an earlier age; it doesn't mean not being able to see a doctor, but paying for some treatments is a problem," Unicef's Marta Arias said. Celtic tiger or scaredy cat ? As plans are being drawn up for a potential rescue programme to bail out the Irish government, if it asks for help, by the EU, this article offers a socialist perspective on the Irish economy. The only flourishing industry in Ireland now seems to be economic punditry. A fellow socialist recently sent me an economic article critiquing the contrasting financial approaches of the various governments in Europe to the current crisis. It wasn’t the first article that I’ve read on this subject! Ever since the storm broke in autumn 2008, the media in Ireland has filled the airwaves/newspaper pages with an endless procession of economists commenting on various aspects of Ireland’s severe economic situation and either second guessing the government’s decisions on various policy matters or attempting to persuade the people that they have much cleverer solutions to ‘our’ problems. Part of my weariness with all this analysis stems from the fact that as a socialist I know booms and slumps are an inevitable part of the economic operation of capitalism and there was clearly an unsustainable boom occurring in Ireland over the years 2004 to 2008. So now we have the consequent contraction which is just going to have to be endured as long as capitalism governs our lives. In fact, the only flourishing industry in Ireland now seems to be economic punditry and whether you open a magazine, turn on the TV, listen to the radio or surf the net for news, you wont have long to wait until you encounter the predictions of economists mainly drawn from either academia or the financial institutions or on some rare occasions, the trade unions. Because Ireland’s situation is deemed so critical, we even have Nobel prize winning economists from the United States commenting on us, while just a few years ago we wouldn’t have merited any attention from them as they’d probably have been pre-occupied with China. In fact one popular media economist, David McWilliams, currently has a travelling roadshow where he tours the country, filling halls and theatres with his views. As the publicity blurb for his ridiculous ‘Outsiders’ tour goes “McWilliams believes Ireland’s political and social divide is not so much about rich and poor, young and old, urban and rural, but about Insiders and Outsiders”. This strange mixture of showbiz and economics has climaxed in a ‘Kilkenomics’ festival that will be held in Kilkenny in late November where stand up comedy will be interspersed with economic analysis. On its website one of the topics listed for discussion is to be '23 Things they don’t tell you about Capitalism’. As the man said, you couldn’t make it up! What’s tiresome about all the contributors to this public debate, is that in spite of furious argument over some superficial points, essentially they’re all singing from the same hymn sheet. Corrective action is needed to deal with Ireland’s soaring debt and it’s only the time scale (whether it should be over 4 or 6 years) and the areas of public spending to be excluded from cuts (such as old age pension) that are in contention. It is now anticipated that a general election is only months away and it’s noticeable that the main opposition parties have moderated their criticism of the government’s budget approach; they know full well that room for manoeuvre is extremely limited and if elected (which seems very probable at the moment) they will be implementing the hair-shirt budgets over the next four years. To give some background, it now seems accepted that whatever reality lay behind the Celtic Tiger had by about 2003/2004 been replaced by an old-fashioned, foundation-less credit boom based on the expectation that property (both residential and commercial) was destined to appreciate at a significant level beyond any other type of investment. This led to a frenzy of construction, some clearly insane even to non-socialists, where perfectly functioning warehouses, hotels and office blocks were demolished so their footprint could be used for even more profitable apartment blocks and fancier hotels. By 2006 the unsustainability of what was happening began to be widely commented upon in everyday life though this didn’t seem to flag any warning bells with Brian Cowan, the then minister of finance, subsequently promoted to Taoiseach (Prime Minister). The crash has highlighted a structural weakness in Irish politics whereby that opaque interaction between the politicians and leading business people (particularly property developers) masked the rationale for economic decisions. By 2008, a huge proportion of Irish government revenue was attributable, directly or indirectly, to the construction sector in terms of which has now all but vanished. This has left an almost twenty billion euro gap between the government’s annual income and expenditure. The problem has been exacerbated by the government’s initial decision to give a very wide ranging guarantee to all the main banks’ creditors. As the scale of loses (fifty billion and counting) has turned out to be much greater than anticipated, this has increased Ireland’s need to borrow. Whether the government naively underestimated the risks from this banking strategy or was responding to the pressing needs of some well-connected business people has been hotly debated since. The predominant response to date in Ireland has been a fearful resignation rather than any outright ‘resistance’ as has intermittently been seen in the strikes and demonstrations of France and Greece. Partly this is due to an apathy to the potential power of real politics, that has been engendered amongst great swathes of the electorate, resulting from so many broken promises by reformist parties over the years. Unemployment has risen sharply and emigration as a social phenomenon has returned. A reduction in living standards is seen as inevitable in the medium term. There has been a deliberate divide and rule strategy employed by the ruling class with a vociferous campaign, championed by the media outlets controlled by the media tycoons Tony O’Reilly and Denis O’Brien, waged against public sector worker to separate them from private sector employees. That is not to say that people are not angry about the situation and the heavy penalties and burdens they are now expected to bear as a result of reckless and profligate activities of bankers and developers. What is perceived to be most galling is how when the senior executives in many financial institutions knew that the balloon was going up, they negotiated or arranged legally watertight generous exit packages for themselves, without a care for the consequences to the mass of the people. It certainly has raised questions about the ‘fairness’ of the system which is a clearly welcome development for socialists. Of course some of the discontent is mis-directed, with talk of betrayal by the government, when the recession is an inevitable part of the capitalist cycle albeit in this exacerbated by the greed and incompetence of the local ruling class. The power of capitalism over people has never been more nakedly exposed. The government’s daily mantra is the need to restore confidence in Ireland’s position to ‘the market’ when we know ‘the market’ is fundamentally that very small number of people who control multi-billion financial investment decisions. So each government action is quantified as to whether it has reassured the markets (which we’re constantly told is a good thing) or has caused uncertainty (‘a very bad thing’) as the more uncertain the markets are, the greater the interest rate Ireland must pay on the loans it needs to raise. The fact that it’s naturally in the market’s interest to either doubt, or at least feign doubt, about Ireland’s economic outlook in order to justify higher loan charges is never commented upon which shows the whole deal is really a gigantic scam. Perceived wisdom is that it should be easier to make socialists in a recession when the shortcomings of capitalism are more evident. This capitalist recession will eventually end and the Irish economy at some time in the future will inevitably return to growth. If there are more socialists in Ireland at that future time, then at least one positive outcome will have resulted from this sorry and preventable mess. We Want Free Education For All! The National Union of Students is campaigning against the government's plan to triple university tuition fees as a way of making universities "competitive". If the campaign is determined enough you may be able to extract a few concessions. But even if you are successful in this the educational system will continue to function in basically the same way. Education at present is primarily a means of training a labour force for the organisation of profit production in capitalist society. The dominating influence of exams and the increasingly commercial orientation of colleges and universities are expressions of this. Education should be a social amenity for the development of an individual's talents – this it can never be under capitalism. You need to look beyond the present campaign which, after all, is a campaign to try to stop things getting worse not to try to improve things. Instead of running fast to stay on the same spot campaigners now have to run fast so as not to slip back so much. So how do we get off the treadmill ? Some people are advocating punishing the LibDems for the betrayal of their written election pledges. That's understandable but those who voted for them because of this will have learned by experience that all capitalist politicians are the same – not necessarily because they are dishonest careerists, but because they have to run the profit system where profits always have to come first. It's just that the LibDems thought they could get away with making wild promises because they never expected to be in government. Ignore them. They're just a waste of time like the Tories and the Labour Party. In any event changing governments changes nothing. Reformist policies have failed abysmally. The NUS have the right idea. Sort of. We can demonstrate until we are blue in the face, but as long as the government keeps a firm hand on the state (the police and army), they will get their way in the end. So targeting Lib-Dem politicians and threatening them with electoral defeat is the surest way of putting on pressure. But the question is, who will take their seats if they are ousted? Almost certainly another candidate that stands for cuts and austerity. Lib-Dems, Conservatives, Labour are all simply factions of the Capitalist Party, the party that supports a system that needs poverty and unemployment simply to exist. So we'll all be back on the streets protesting again. We need to get organised to use elections to not simply change personnel within the Capitalist Party, but to rid ourselves of the system that demands these cuts. If we stand together, we can drive away the owners of the world whose interests have created this crisis. We can abolish poverty and unemployment. Free Access - It Ours for the Taking. If we organise for common democratic control of the resources of the world, then not only education need be free, but food, clothing and housing. We can be free. We can get rid of lying leaders, and run our own communities in our own interests. This can only be achieved by the conscious action of the majority of the working class – and that includes most students. The only way forward is a revolutionary change to a completely different society. * World-wide common ownership of resources – not minority class ownership. * A free democratically run non-authoritarian non-compulsory educational system giving equal opportunity to all. We urge you to join us in the fight to establish World Socialism. On Wednesday 10 November, a demonstration, long planned and organised jointly by the University and College Union and the National Union of Students, took place in central London to protest against the government's cuts in education funding. The demonstration was expected to be the usual poorly attended, tame and boring affair – marching from one spot to another, waving placards, and chanting slogans. "We stand against the cuts, in solidarity with all the poor, elderly, disabled and working people affected. We are against all cuts and the marketisation of education. We are occupying the roof of Tory HQ to show we are against the Tory system of attacking the poor and helping the rich. This is only the beginning." Commentators from both the Leninist and anarchist left predicted that the day marked the beginning of a new politics – another Poll Tax-style rebellion, according to some; a mass revolutionary insurrection a week Wednesday, according to others. Did the English revolution begin that day at Tory HQ? We in the Socialist Party are more cautious. We welcome any upsurge in the militancy and resistance and organisation of our class. But we also know, from bitter experience, that work of an altogether quieter, patient, more political kind is also needed. The skirmishes in the class war must be fought if we are not to be reduced to beasts of burden. But as human animals capable of rational thought and long-term planning, we must also seek to stop the skirmishes by winning the class war, and thereby ending it. This is only possible if the capitalist class is dispossessed of its wealth and power. That means that the working class as a whole must understand the issues, and organise and fight for these ends themselves – by organising a political party for the conquest of state power that will convert the means of production into the common property of the whole community. "What's wrong with using parliament?" on the subject of "What's wrong with using parliament?" Megamillionaire feng shui master Tony Chan traveling by private jet to Teterboro Airport in New Jersey, was picked up by a car-service driver and paid for the trip with his American Express card -- and that car-service driver then used the card number to rack up almost eight hundred thousand dollars in charges over the next few months. Chan is so rich that he didn't even realize he was being bilked. It was only after a bank-security specialist noticed a suspicious pattern of activity on the card - some of which hit $19,000 in one month alone - and notified authorities that the $794,986 scam was uncovered. While the executive committee of the Irish capitalist class weighs ups the pros and cons of seeking out an EU bail-out we read that the recession will make health inequalities in Ireland worse, with growing evidence that people are opting out of medical services they have to pay for. The annual Pfizer Health Index report, which surveys more than 1,000 Irish adults every year, has found that people are visiting their GPs and taking screening tests less often, while not attending hospitals as much. Prof Kevin Balanda, associate director in the Institute of Public Health, said the results indicated a trend which would exacerbate existing health inequalities. People from lower socio-demographic groups are 2.5 times more likely to suffer from arthritis, twice as likely to have heart disease and three times more likely to be affected by depression. Three per cent of the population owns half of Switzerland’s wealth. In recent times, the gap between Switzerland’s rich and poor has been growing. One in ten billionaires worldwide lives in Switzerland and 210,700 people possess more than $1 million (SFr990,000). According to the Basel sociology professor Ueli Mäder and his other two team members Sarah Schilliger and Ganaga Jey Aratnam, a person needs at least SFr30 million to be considered rich – and at least SFr100 million to be considered superrich. The study confirms that wealth and power go hand in hand. Having capital means having power. Power is exercised through networks and in a very targeted way that benefits the rich. Their research says that three per cent of the population have as much wealth as the remaining 97 per cent put together. Historically speaking, Switzerland, although not a colonial power, became rich through colonialism. Many Swiss gained wealth by exploiting resources in the southern hemisphere. Many multinationals, such as Nestlé or Novartis, are also based in Switzerland and their foreign labour force contributes a lot to building up wealth. Switzerland could be said to be one of the great profiteers of globalization. Caritas estimated earlier this year that up to 900,000 people – an estimated 12 per cent of the Swiss population – are in need of social welfare. 12% of pensioners need income support to make ends meet with up to a third of them - 45,000 – still living in poverty despite this assistance. 10% of single parents are "working poor". Their low pay means they remain in relative poverty despite working a regular working week. In 2006, 18% of single parents received social benefits. Social-welfare spending would seem to have gone up but spending has only gone up in absolute figures. If put into relation with Gross Domestic Product spending has fallen since 2004. Almost 15% of US households experienced a food shortage at some point in 2009, a government report has found. US authorities say that figure is the highest they have seen since they began collecting data in the 1990s. Single mothers are among the hardest hit: About 3.5 million said they were at times unable to put sufficient food on the table. Hispanics and African Americans also suffer disproportionately. 1 out of 5 children in the Unites States alone is living under poor conditions. That’s 15.5 million children. Philadelphia’s Children’s Hospital followed that up with a study showing that being exposed to poverty, even for just a short while, can create some health issues down the line. The study showed that 21% of households can’t provide proper food for their children and their bodies’ needs are affected. The housing situation also plays a major part, as not having the suitable housing environment can cause health issues like depression, behavioral problems and even heart diseases. "We had counties in the United States where 70 percent of all children in that county were receiving food stamps. It's shocking to me that we are at those numbers," Dr. David Rubin a co-senior author of the study, who's also director of the PolicyLab at Children's Hospital in Philadelphia. Doug Hornig in a piece titled Facecrime comments on newly developed software as another possible step in the direction of the Big Brother total surveillance state. Over fifty years ago, an essay in the Socialist Standard warned its readers that his Little Brother is Watching you! It has always been fashionable for the champions of so-called Western Democracy to describe in horrifying detail tbe horrors perpetrated by Big Brother Stalin, Big Brother Khruschev and the other dictators, in order that we might be comforted by the thought that circumstanees here might be a lot worse. When one looks around, though, the differences aren't as great as they are made out to be. Everywhere one looks there are myriads of little brothers - the petty bureaucrats and officials that are apparently indispensable to modem society. So vast and impersonal has the State machine beeome, that the sum total of all the little brothers appears to make a very big brother indeed. One of the most disturbing features about this is the way in which little-brotherdom has been taken for granted, few now questioning the supervisory rights exercised by the multitudes of little brothers. Practically every moment of our waking life is spent under the observation and control of these watchdogs, who themselves are oblivious to the nature of their task, that is to be the ruling class's minions who ensure that every dot and comma of the laws of property society are observed. Let us take a look at our lives and see how far we are dominated by little-brotherdom. We open our eyes in the morning, lift our heads from the pillow (Purchase Tax (Domestic Pillowslips) Order 1947, S.R. & O., 1876); and gaze around our cosy Council flat ("Tenants shall not keep cats, dogs, chickens, livestock or any animal whatsoever"). We lower our feet gently to the floor, careful not to wake the baby downstairs ("No musical instruments, radio, record-player or noisy instrument whatsoever shall be played or used between the hours of 11 p.m. and 7.30 a.m."). We pull on our cotton socks (Customs and Exeise (Import Licences for Foreign Cotton Goods) Order 1954. S.T. No. 6764). The carpet we tread on is subject to Purchase Tax, Hire Purchase restrictions, Customs and Excise duty if it is imported, Police investigation if it is stolen, and some thousands of officials in various Ministries and Departments are concerned with all these qualities of the carpet. The only quality that they are not interested in is the one that concerns the owner, that is, its usefulness. Sirnilarly the tea that we pop into the teapot is haggled over by harassed merchants, discussed by diplomats, preserved by security police, checked by Customs officials, weighed by weights and measures men, and litigated over by lawyers, all without reference or relevance to the need that it satifies. And so the morning goes on; everything we do, everything we use, and even our conversations are affected in some way or other by regulations, statutes, restrictions, official decrees, taxes, tithes, fines, penalties, and the rest. Perhaps the postman has brought us some mail? Ah, yes, a kind letter from our obedient servant, the Inspector of Taxes, requesting us to complete and return Form A.63 forthwith or have our code number reduced to zero (almost a fate worse than death). What else - perhaps a billet-doux from the Postmaster-General reminding us that our television licence expires on the 31st proximo? Or a figure-studded form from the Town Clerk telling us that each pound of rates was divided up into such fascinating items as 3.5d. for roads: 4.25d. for schools; 9d. for himself as watcher-in-chief and for his myrmidons; and so on. In fact, one could hazard the guess that three-quarters of the average man's mail comes from the little brothers. And so it goes on-one is always subject to the restrictions, petty tyranny and feeling of soul-destroying impotence produced by constant surveillance - "Good morning, madam; may I see your wireless and television licences? "; and the rest of it. Even the forms of little-brotherdom that we take completely for granted -"Fares, please"; "May I see your ticket? "; "One and nines at the far paybox" - all these are the product of an irrational society which substitutes profit for human needs, money for human feelings, and cash registers for human lives. A whole army of people exists, whose only purpose is to restrict us, regulate our lives, keep us submissive, and preserve the sanctity of private property. This is not a criticism of the watchdogs themselves - the clerk in the tax office or the bus conductor is only carrying out a job, although the job itself is one that stultifies and inhibits. Millions of able-bodied men and women carry out these socially useless tasks for the purpose of keeping capitalism running efficiently and keeping the others in order. Capitalism requires an army, navy, air force, police force and judiciary to defend the rights of employers to exploit their propertyless employees. In order to do this efficiently in the modern world, an immense and complicated State machine grows up, which irons out the differences between individual capitalists and combines all their interests in what is complacently described as the" national interest." To maintain this top-heavy institution, hundreds of thousands of workers are required to staff the end less Ministries and Departments. The Inland Revenue Department rakes in the State's share of the profits exacted from workers, and the various Ministries spend it in the ways deemed best by the ruling class's administrators. And yet, a large proportion of the tasks performed by this vast army of people are, from a rational point of view, socially worthless. The Ministry of Pensions and National Insurance keeps infirm and aged workers alive at the minimum expense; the Customs and Excise Department preserves the State monopolies of tobacco and alcohol and keeps the rapacious foreign capitalist from the door; the Defence Ministry and Foreign Office ensure that the British capitalist can hang on to what he has captured; and so Oll. No doubt this is all very 'desirable from the ruling class's point of view, but has little to do with the interests of the majority of people. People's acceptance of these social fungi implies an acceptance of capitalism, with all the evils that go with it. Conversely, once one has rejected capitalism, it can be seen that this implies the rejection of all of its stupid paraphernalia - of which little brothers are a part. Little brothers are only a facet of a harmful social system which has long outlived its purpose; a facet which itself emphasises and demonstrates the irrational and undesirable nature of capitalist society. A society which turns in on itself in this way, which dominates and regiments humans instead of serving their interests - this is a world which is unworthy of human beings. The fact that people find life unthinkable without the little brothers proves just how unthinkable it has become with them. A group of veterans from conflicts including the Falklands and Northern Ireland have complained of the increasing glitz and glamour of the annual poppy appeal and of it being hijacked to marshall public support behind current campaigns. In a letter in The Guardian, the veterans argue that the original aim of the appeal as a sombre commemoration of the war dead and the horrors of conflict was in danger of being lost amid the marketing spin and tub-thumping political aims. "A day that should be about peace and remembrance is turned into a month-long drum-roll of support for current wars. This year's campaign has been launched with showbiz hype. The true horror and futility of war is forgotten and ignored," they write. Ben Griffin, a London ambulance driver who served nine years in the Parachute Regiment, including in Afghanistan and Iraq, before refusing to return for a further term of service because of his concerns about US military tactics. He said: "We are concerned that people are trying to take ownership of the poppy for political ends. It is almost as if they are trying to garner support for our boys and any criticism of the wars is a betrayal." Ken Lukowiak, who served in the Falkland Islands and Northern Ireland between 1979 and 1984, said: "Part of me wants to be sensitive to the families who have lost loved ones and part of me wants to throw a bucket of blood into the living rooms of the nation every night to show people the true meaning of war." There is only one thing that can be said for certain about wars: they are never fought in the interest of those who die in them. What respect, gratitude, reverence or esteem did these reluctant and unsuspecting heroes ever have when they lived? Ex-military, after "serving their country", may have escaped death or physical mutilation but their experience has left them scarred for life. What made them part of an effective fighting machine has made them incapable of maintaining normal relationships within the family and friends or coping with the different stresses of working under capitalism. Tony Wright, a former soldier who now runs About Turn CIC, a social enterprise that aims to improve the lives of ex-service personnel, said: "I once heard someone say that when you go into the army they take the civilian out of you and make you into a soldier, but when you come out they don't put the civilian back in. I think that sums it up perfectly." A basic understanding of capitalism would indicate that the only freedom workers ever fight for in wars is the freedom for the capitalists to do exactly as they wish to make a profit. Roughly 25,000 people die every day of hunger or hunger-related causes, which is one person every three and a half seconds according to www. poverty.com. Individuals who live in poverty lack the money to buy enough food to nourish themselves, which causes them to become weaker and often sick. These individuals would become even more poor and more hungry because being sick will make them less able to work and provide for themselves and/or their family. According to the UN and the World Bank, the social impact of the global economic crisis continues to be felt in terms of rising hunger, unemployment, and social unrest. The combination of rising food and fuel prices and the financial and economic crisis has reduced poor families’ purchasing power, access to social services, and employment opportunities. Moreover, poor households have reduced food consumption, with the UN Food and Agricultural Organization estimating that nearly one billion people are hungry and malnourished. In addition to the millions already pushed into poverty in 2008-09, another 64 million could fall into extreme poverty during 2010 as a result of the combined, lingering effects of the crisis. A UNICEF survey of 126 developing countries found that among the nearly one-half that are reducing public expenditures, common adjustment measures include public-sector wage cuts or caps, withdrawal of food subsidies, and the targeting and rationalization of already meager social-protection systems. The European Union’s push to help its companies access raw materials in developing countries will drive “a new scramble for Africa” and increase poverty, according to a report released today. The EU wants to curb the ability of developing countries to restrict the exports of their raw materials. The EU is also negotiating new investment rules with poor countries to secure European companies unprecedented access to raw materials on the same or even better terms as local businesses.The study shows that EU strategy is being driven by European businesses which want access to cheap raw materials.The EU’s proposed investment policies could facilitate land-grabbing and discourage governments from establishing environmental regulations. "In too many countries, inequality increased and real wages stagnated -- failing to keep up with productivity -- over the past few decades," Strauss-Kahn, the IMF chief said. Ron Formisano, professor of history at the University of Kentucky wrote "Many Americans are living poor and voting rich. They vote for politicians who serve the interests of the very rich, of corporations that ship jobs overseas, employ and exploit illegal immigrants and violate workplace rules to protect workers...."
In the October 2008 Socialist Standard of the increased negative effects on the environment of the plans to increase use of biofuels . Now new research indicates that our warning was timely. "Biofuels were originally heralded as the wonder fuel, something to challenge fossil fuels and a way to save the world from its dependence on oil, a greener product, sustainable and easily grown around the world. David Moberg, in an August 2008 article “Let them eat free markets” in ,These Times, writes, “once seen as a way of using up European and US surpluses biofuels are now threatening to become a global, corporate-controlled, industrial farming and export business that could put US SUVs in competition with food for poor people in other countries whilst degrading tropical forests.” So, here again is monoculture on a grand scale, degradation of the environment, cash crops taking the place of food crops and small farmers forced off the land to increase production and profit. A further downside to biofuels and a good reason to take another look at the topic for those who still believe it to be a 'green' fuel is that it actually takes something like 18 percent more energy to process the fuel than will be available in the finished product. Not best use of agricultural land, resources or manpower." A new study has revealed that an area over twice the size of Belgium will need to be converted into fields and plantations – putting forests, natural ecosystems and poor communities in danger, if European countries do not change their plans for getting petrol and diesel from food crops by 2020. The new analyses of the EU renewable energy plans concludes that Europe is set to increase significantly biofuel use by 2020 when biofuels will provide 9.5% of transport fuel – more than 90% of which will come from food crops. When indirect land use change is taken into account, biofuels will emit an extra 27 to 56 million tonnes of greenhouse gas emissions per year , the equivalent to an extra 12 to 26 million cars on Europe’s roads by 2020. Unless EU policy changes, the extra biofuels that Europe will use over the next decade will be on average 81 to 167% worse for the climate than fossil fuels. Under the plans, five countries will be responsible for over two thirds of the increase in emissions. Is the Socialist Party Marxist?